Fill each day in just your own way - Maybe start off with a Character Breakfast, or a family Wake 'n' Shake session? Maybe a morning in the heated pool complexes, or learning new skills with Archery coaching. Papa John's on Park will give hungry kids an afternoon boost, before enjoying an afternoon on the beach, or hiring bikes and exploring Dorset. Finish the day off with a trip to the ShowBar for a drink, live music and dancing. 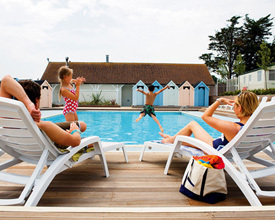 Seaview Holiday Park offers the following facilities. A hillside location with magnificent views of the Dorset coastline awaits you at Seaview Caravan Park. When it comes to a bit of family adventure try quad biking at Henley Hillbillies or an armoured fighting vehicle at the Tank Museum! If you fancy something at a slower pace, enjoy a scenic ride on the Seaton Tramway. Or visit the River Cottage off the Channel Four series near Bridport. In Dorchester you are spoilt for choice with the Dorset Teddy Bear Museum, the Keep Military Museum, the Terracotta Warriors Museum and the Tutankhamun Exhibition. You can visit the Roman Town House or walk out to the imposing hill fort at Maiden Castle. Visit the Dorset County Museum, or discover the thrilling world of dinosaurs at the Dinosaur Museum. 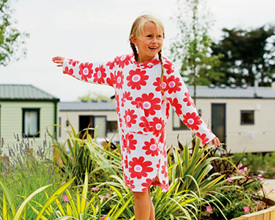 Have you been to Seaview Holiday Park? Please submit your review so that others can benefit from your experience. Important note: Information provided here about Seaview Holiday Park is based on our best knowledge. However, please check with Seaview Holiday Park before booking to ensure that you have the information required. Reviews are the sole views of the contributor and do not necessarily represent the views of CampsitesandCaravanParks.com or Seaview Holiday Park.